It turns out that insulation is just the inch or short of covering the whole ceiling and the exterior walls. Any drywall can be the best source of loss of heat to your home and condensation in the attic. Ensure that everything is covered with the insulation including the panel which is neglected mostly by the owners. 3-Roof leakage:- It is one of the most significant problems for all the owners, and the usual cause of leak would be damages and cracks of flashing around the chimney and vents. If the roof consists of debris even before the winters, it can add weight to the shelter when the ice and snow start to accumulate. Trash itself is enough to harm your roof. Debris such as falling leaves can get stuck in the gutter. 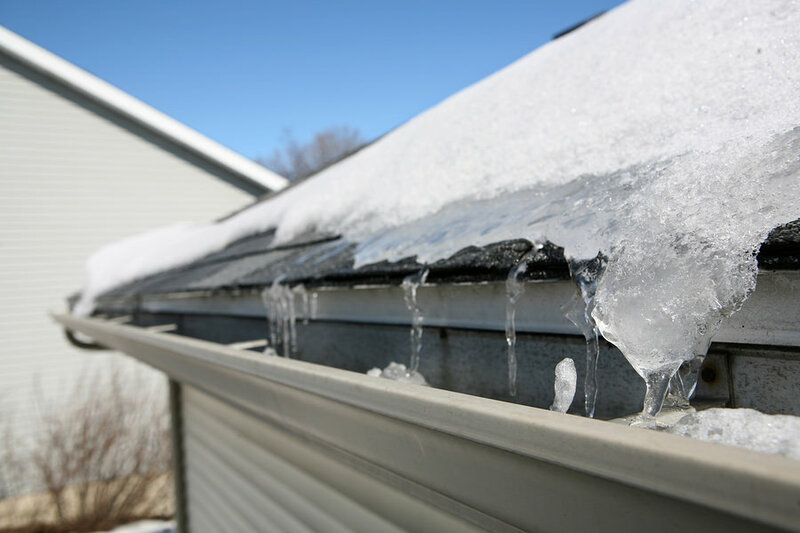 If the ice and snow will get stuck too with some other debris, this can damage the roof that can also turn to leakage of the roof. They can only be detected when these are already massive damages. If you regularly check the roof for minor losses, you don’t need to deal with the big issues that will end up with the costly roof repair & replacement. Falling objects like branches and shrubbery are the common factors of roof damage. It is usually minor, but if it is overlooked, it might get the big problem especially when the ice and snowfall on it. Curled, blistered, missing or buckles shingles should get replaced always. Otherwise, this can also be the primary cause of leakage of the roof. It is better to check the roof before winter comes in. If there’s any repair work, it is better to go for that early. Many roofers are booked fully before the winters as many owners rush to get their shelter fixed. So, it is better to get it fixed as soon as possible. Winter is not the concern, all you need to think about is how to be relaxed and keep yourself hot during the chilly weather.